Fresh measures regulating entry to Macau casinos were formally announced on Friday. As had been widely expected, the city’s government is proposing the introduction of rules banning Macau-based gaming workers from casino floors outside work hours. It says the move aims to curb problem gambling among casino employees, particularly card dealers. Some staff not directly involved with gaming operations – including cage staff, food and beverage outlet workers, cleaners and those connected to surveillance operations – will also be included in the ban, according to a press release. The bill was announced by the city’s Executive Council – the Macau government’s main advisory body – in a press conference on Friday. The bill will now be sent to the territory’s Legislative Assembly to be voted. Local players’ contribution to Macau casino gross gaming revenue is estimated by investment analysts as being small when judged in percentage terms. Macau gaming operators already have contractual bans on their own staff gambling on company premises. 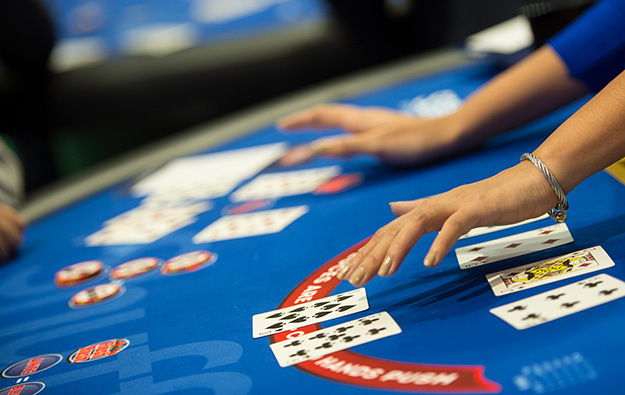 The Macau government proposes that any designated casino worker detected in a local casino outside working hours would be liable to a fine of between MOP1,000 (US$125) and MOP10,000. The government’s bill envisages Macau-based casino workers being allowed to gamble in casinos the first three days of the Chinese New Year holiday period. Representatives from Macau’s gaming regulator had said in May 2016 that the local authorities were mulling rules banning gaming workers from being on casino floors outside work hours. At the time, two Macau gaming labour groups said they supported the measure. The bill states inspectors from the casino regulator could – once someone under the age of 21 is detected inside a local casino – immediately fine that person. In such a case, the person – if admitting wrongdoing – would be liable to a fine of MOP1,000. The age entry rules state that any person under 21 that enters, works or gambles in a casino is liable to a fine of between MOP1,000 and MOP10,000. A casino operator allowing any person under 21 to enter, work or gamble in a casino is liable to a fine of between MOP10,000 and MOP500,000. The bill presented on Friday additionally clarifies that the local authorities can seize any wager or set of casino winnings possessed by people barred from entering gaming floors – once they have been detected as persons in breach of that existing ban. The bill also bans the use of mobile phones and other communication devices by gamblers in the gaming table areas in casinos. The use of sound and image recording devices is also banned. While such bans were already in place based on guidelines issued by the city’s casino regulator, the bill aims to make it into law.